This staggered set of FR04 replica wheels includes two 17x8 and two 17x9 machined lip black rims designed to fit the Ford Mustang and other compatible vehicles. Please check our fitment tab for specific year-make-model applications and will-not-fit exceptions before ordering. Very pleased with my wheels! I purchased a set of the Cobra R Wheels for my 1988 5.0 LX convertible. The car came with 16 inch Ford Pony wheels on it but I wanted something better. 17 inch wheels offer a better assortment of tire sizes which equates to lower and wider tires for better handling and traction. The quality of these wheels is top notch in my opinion. Definitely makes my 88 black LX pop! wheels are awesome, except for missing paint on lug nut recess areas but you can hardly see it but since I'm a fanatic I know it's there and will take care of it in the spring. Car is not a daily driver, not used in the winter but is used on a daily basis when the weather is nice. Will post pics soon. Gives my blk 88 LX a more contemporary look, big difference over the ponies I had on. Had a problem with lug nuts but the issue was resolved quickly. Excellent customer service! I am very satisfied with my OE WHEELS ! Is am a daily driver and these wheels just set-off my 92-Convertible.I have received comments from sick,ill,wicked and man those are the BEST LOOKING WHEELS I have ever seen on a MUSTANG! Great fit, easy install, and most of all the complements I get!! Great buy. Have had these on my lowered blk 88' notchback for about 6years now and still getting compliments. Running widest nitto g2's that fit and car looks awesome! The "stance" is perfect! Can't find a decent photo right now so figured I'd post this one. Old folks like myself would remember these. 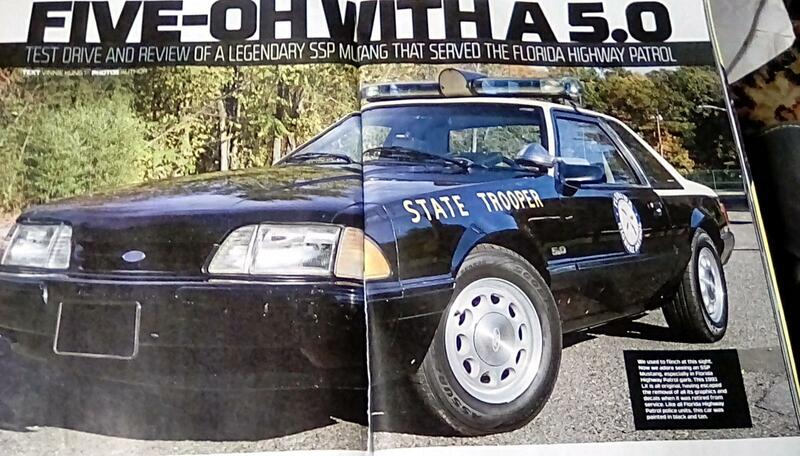 Florida and NY state troopers used 5.0's for highway patrol.